Would is a very versatile modal verb because it has a number of different uses. 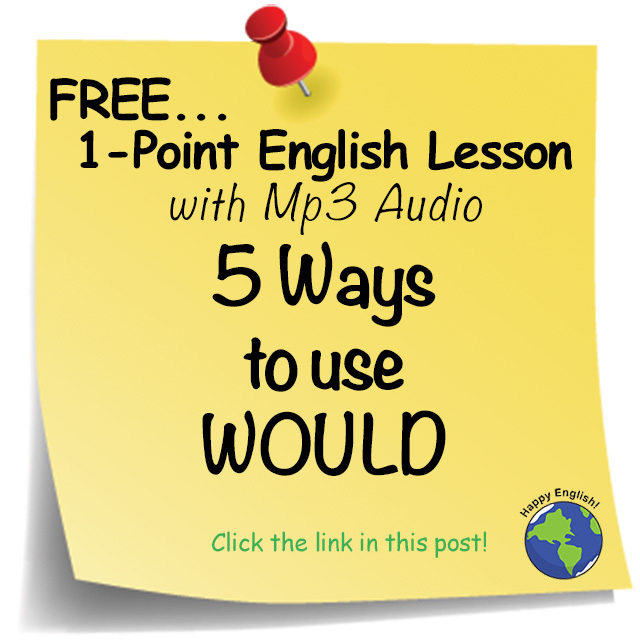 For today’s English podcast lesson, let’s have a look at five ways to use would! I asked her many times, but she wouldn’t help me. The car wouldn’t start last night because the battery was dead. Why didn’t I go inside? Because the door wouldn’t open. It would be nice to see you when you visit New York. It would be great to be able to use the rooftop lounge for my party. It would be a shame if we weren’t able to get a ticket for that concert. When I was a kid, my grandfather would tell us funny stories. I remember that guy. He would sit at his desk all day and look out the window. You would eat the last cookie. Why didn’t you save it for me? Jack said you look fat? Yeah, he would say something like that. He’s not a nice guy. He would show up late. He is so inconsiderate.